How can a director come up with a film, having already made the outstanding A Separation (2011), that doesn’t disappoint? 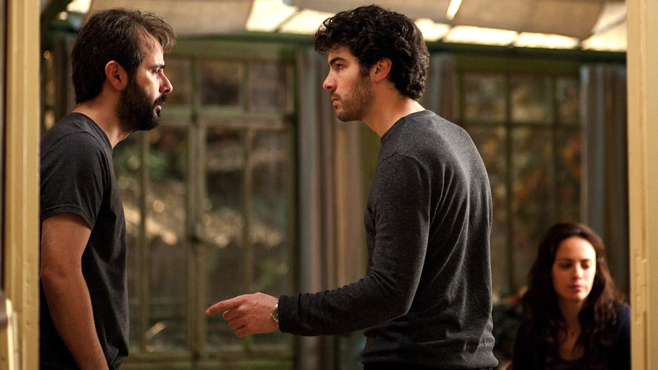 Well, Asghar Farhadi manages to do it with consummate ease! The Past is a richly engrossing family drama that sees the central character, Ahmad, return from Tehran to Paris to finalise his divorce from his estranged French wife, Marie. From the opening scene of his arrival at the airport, Marie watches him through the glass barrier and the viewer is already intrigued at what history lies between them. Sensing an issue between Marie and her daughter, Ahmad tries to ease the conflict between them, but this only causes jealousy and resentment from her new partner, Samir. As with his earlier films, Farhadi’s brilliance is his close observation of human frailty and emotion whilst pulling the viewer’s sympathies in different directions. A film not to be missed, and, yes, I am already looking forward to his next one! Farhadi talks to The Hollywood Reporter about The Past, filming in France and censorship in Iran. 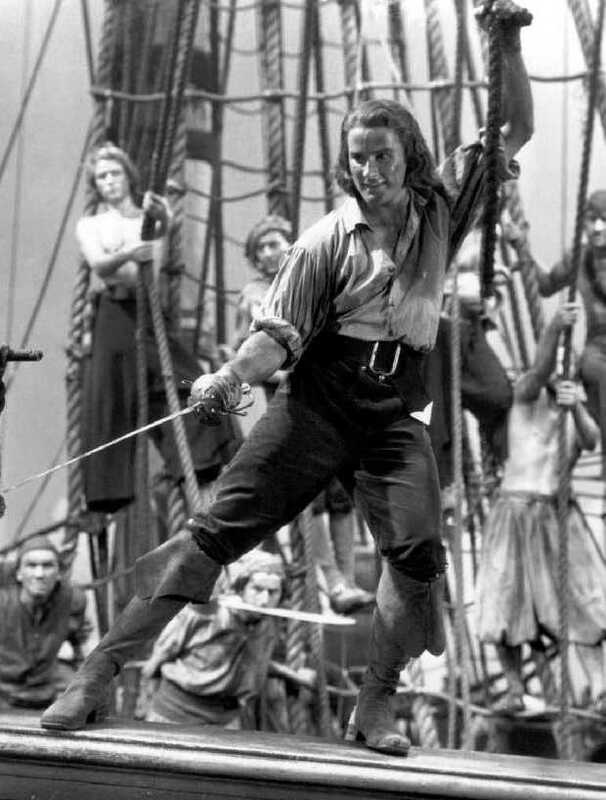 If you enjoyed the slew of recent seafaring tales but wanted a little more pirate and a little less CGI, then I couldn’t recommend Michael Curtiz’s romp Captain Blood more highly. It could have nothing to gain from the powers of modern technology, no need for blue screen, green screen or any other colour screen. The swashbuckling adventure takes us on a good Doctor’s Journey from law abider and upstanding citizen of 16th C England via warfare, slavery and pillage to pirate of the Caribbean. Each member of the cast is as enjoyable as the next, Errol Flynn in his first leading role holds his own as the dashing hero while Olivia De Havilland matches his wry effeminate smile tooth for tooth. George Hassell plays the unwittingly useful but loveable governor Steed while Basil Rathbone and Lionel Atwill provide us with seething villainy. Good dialogue especially from Blood and his crew provide charm and humour, enriched by a particularly moving performance from Ross Alexander. The well crafted cinematography of the film is thanks to Ernest Haller, who also leant his talents to Gone With the Wind, Rebel Without a Cause and Whatever Happened to Baby Jane? One of the films highlights is a beautifully filmed and choreographed duel between the protagonist and fellow pirate lord Levasseur, complete with jagged rocks and crashing waves. The score was provided by Erich Korngold. the same composer who would later go on to work with Michael Curtiz, Eroll Flynn, and Olivia De Havilland on many other pictures (The Sea Hawk, Adventures of Robin Hood, Elizabeth and Essex). This is a good Sunday afternoon film for most ages, then again, it is a great Tuesday morning or even thursday tea time film. Check it out before some massive studio snatches it up and re-hashes it into a CGI blinging, three-dimensional, space adventure. 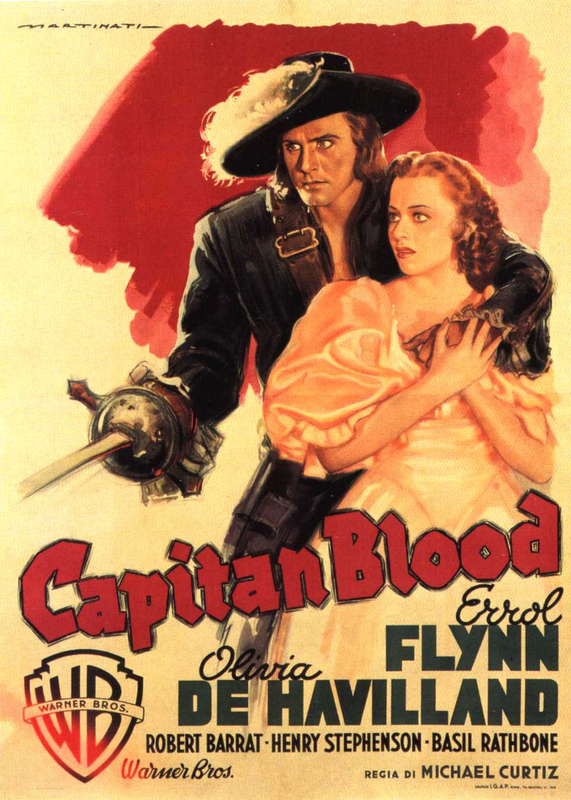 Captain Blood ticks all boxes of a great piratical adventure with flourishing swords, piles of plunder and of course the strong moral code (or at least set of guide lines). 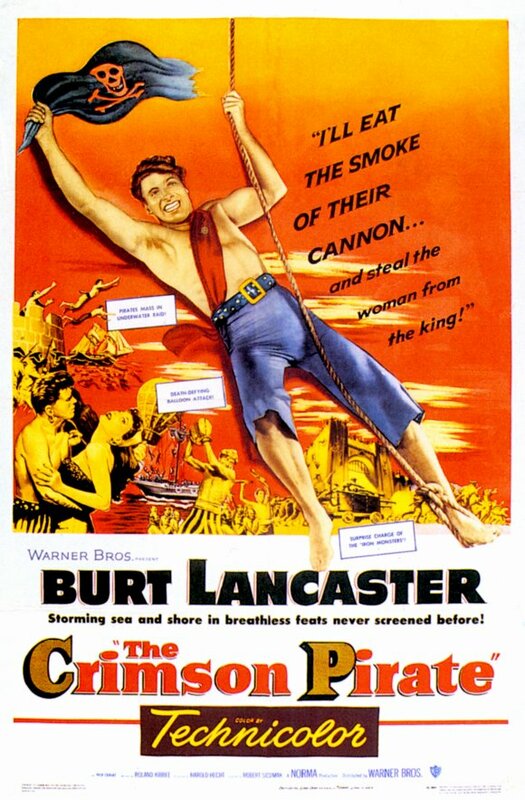 For further pirate needs see The Crimson Pirate, starring ex-circus performer Burt Lancaster. A man aware of the hopelessness of his situation indulges in a diverting fantasy whereby he is allowed to escape from his life for a few days and become someone whom, in his own eyes and in the eyes of others, is respected and worthy of respect. Close-Up tells the true story of Mr. Sabzian, a man with a love for cinema, who is struggling to support his family on the small income gained from his meagre job. 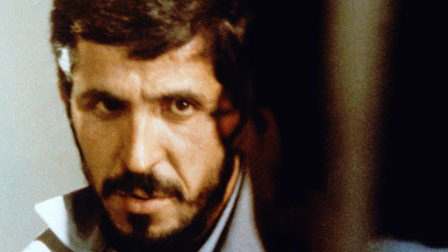 A chance encounter with a woman on a bus leads him to tell an extraordinary lie – that he is Iran’s premier film-maker, Mohsen Makhmalbaf, director of Gabbeh and Kandahar etc – a lie which ultimately results in his imprisonment and being put on trial for fraud. The ambiguous line between truth and lie, reality and illusion is at the centre of the story and here we have a film within a film, with the ‘hand of the author’ clearly visible in various scenes (the voice of the director; the sound boom in the corner of the screen; the whirring of the camera; the clapperboard etc), and it is unclear which parts of the film are documentary, which parts reconstruction. 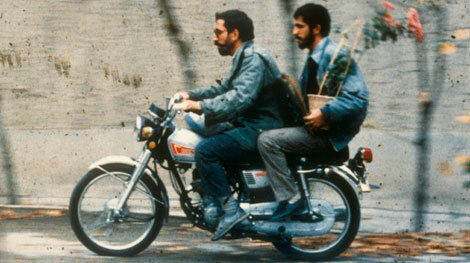 With the form mirroring the content perfectly, Kiarostami in characteristic fashion weaves together fact and fiction until it is virtually impossible to tell them apart, adding to the questions concerning the nature of identity – for instance, the distance that so often exists between the ideal self and the real self – as well as the relationship, which is more implicitly explored, between trust and value. To a certain extent, of course, we are all impostors, daily engaged in the struggle of the truth and lie of ourselves; our interior and exterior lives often mis-matching as we conceal our vulnerabilities and project a self we don’t always feel, protecting ourselves from emotional attack and vying for status amongst our peers. Whilst Sabzian’s own project – his dream of being able to use art as a vehicle for self-expression – is thwarted, he becomes the subject of another’s artistic venture – Kiarostami’s. Visiting Sabzian in jail, Kiarostami asks if there is anything he can do for him, and Sabzian replies “You can make a film about my suffering” and later, when on trial, he tells Kiarostami “You are my audience.” Kiarostami, in making the film grants Sabzian a space in which he can speak for himself, to have a voice and to be the author of his own story. Sabzian’s own art, his own opportunity for expression must therefore come through within the project of another, and he does so before the court and the judge, before the camera crew and therefore before the world with the beautiful honesty of an imposter who, having been caught red-handed, has the courage to reveal themselves, to speak the truth from his soul as it were. Even whilst his detractors accuse him of acting – for the camera, for the court, for life and the ‘world stage’ – he reveals himself as more genuine than most as he drops the mask and the daily dodge that we so often renew. 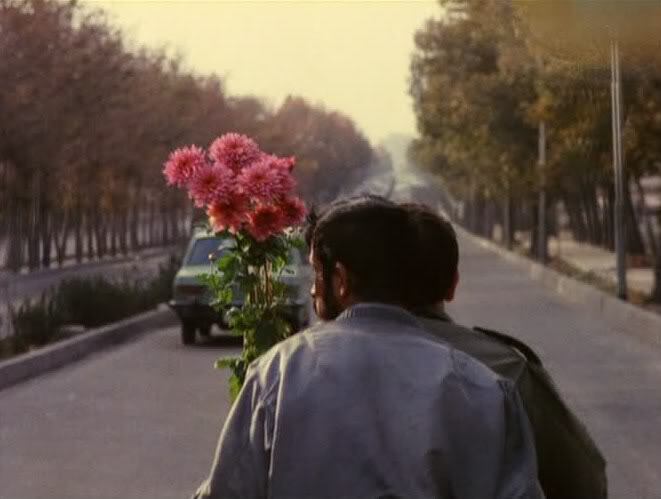 The symmetry of the film, a device which in the wrong hands can feel fraudulent with artifice in itself, here has a clear resounding beauty – Sabzian’s hero, Makmalbaf – the director whom he impersonated – comes himself at Kiarostami’s request to collect Sabzian as he comes out of jail and whisks him off on the back of his bike, later lending him money to buy flowers to give to the family he defrauded. Life imitates art now, as this is the exact story Sabzian himself invented in the alleged ‘film’ he was making which landed him in jail to begin with… Kiarostami leaves us wondering: Is this art or life? And which is which? And, anyway, is there any difference? C is also for Coffee and Cigarettes (2003) and Clueless (1995). Mozart, but not as you’d expect. 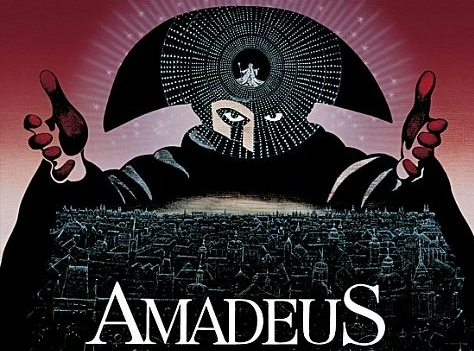 The film centres on a retelling of Mozart’s time in Vienna by his contemporary Antonio Salieri. An accomplished yet restricted composer, the film investigates (a highly fictionalised version of) his struggle with glaring exposure to Mozart’s genius in all its fantastic and boorish reality. Highly entertaining, the film does for Mozart what Baz Luhrman’s Romeo & Juliet did for Shakespeare, without being so irritatingly wet. Having said that, Tom Hulce’s laugh will be ringing in your ears for days. The African Queen has everything. Directed by cinema-behemoth John Huston (Asphalt Jungle, The Misfits) it stars the perfectly matched odd couple, rough and ready Humphrey Bogart and the potently prissy Katharine Hepburn. 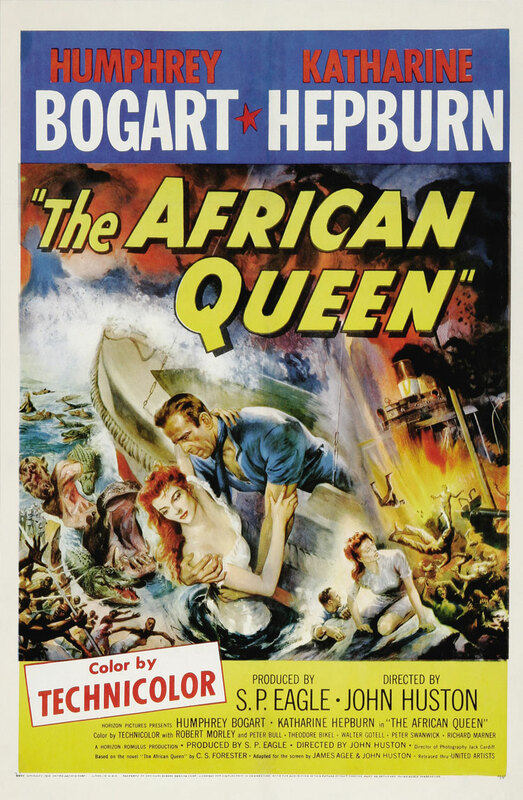 The plot revolves around Rose Sayer (Hepburn), a christian missionary, having to make a difficult river journey through German occupied east Africa with only small boat captain Charlie Allnut (Bogart) for company. This film has laughs, tears, romance, high adventure, and some of the most brilliant cast chemistry you could hope to see in film. 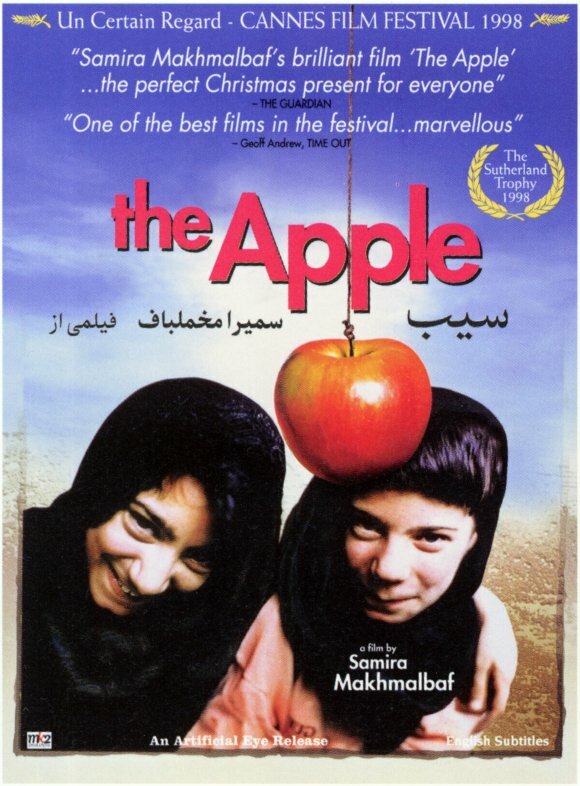 This semi-documentary – Samira Makhmalbaf’s first film, made when she was only 17 – tells the true story of a pair of 11 year-old twin sisters who have been kept imprisoned for years by their impoverished father and blind mother. When concerned neighbours write-up a petition and send it to social services, the family are summoned and the girls examined; whilst the twins are physically healthy, they are severely mentally impaired due, it would seem, to their totally lack of social interaction. The father is ordered to release the girls, to which he protests that he keeps them locked up for their own good: whilst he is away at work, local boys climb over his walls – he is trying to protect the honour of his girls. As the girls are set free, in turn imprisoning their father in the cell in which they were once kept, they roam the city, encountering strangers and making friends for the first time. The apple, a symbol of consciousness and social knowledge, is a motif that crops up throughout the film, whether it be as the girls’ most favoured treat, which at one point, having dropped, one of them grasps to reach from between the bars, or as in the last scene when, her husband locked away and her daughters who knows where, the blind mother leaves the home herself, perhaps for the first time in years, and encounters a schoolboy’s prank – an apple that he is dangled out of a window by a string. At first she merely bumps into it, unsure what it is, she grasps for it and eventually catches it, clasping the apple in her hand. It is hard not to read the film as a clever metaphor for the position of women in Iranian society (clever, because, such public dissent must be formed cautiously), a metaphor in which women are prisoners of the socio-political order that is the Islamic republic. The film indicates (as does Makhmalbaf’s later film, At Five in the Afternoon) that only through the liberation of their consciousness will women be able to stand up against the beatings inflicted to their bodies and minds by the iron arm of tradition. 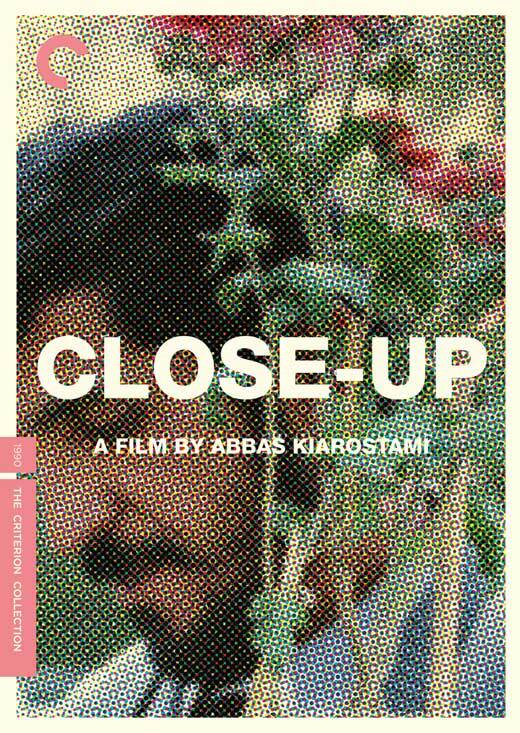 The Apple, like Abbas Kiarostami’s Close-Up, weaves a poetic story in which it is unclear which parts are fact and which fiction. In both cases, this bittersweet disorientation is heighten by the use, not only of non-professional actors, but of the actual people involved in the true story playing themselves. Their lives are, quite literally, being played out before our eyes, giving the viewer not only an extraordinary sense of privilege, but also of discomfort in the face of the conflict between the consciousness of our privilege, our guilt in the face of this privilege and of the poignancy of the story which, ultimately, moves us to enjoyment. FROM NOW: CLOSING DOWN SALE – EVERYTHING’S GOTTA GO! END OF AN ERA; DEATH OF A DREAM… VIDEO CITY CLOSING DRINKS (Pt.2)!! New Releases: 15th June, 2015 (OUR FINAL NEW RELEASES WEEK!!!) sob sob..
SALE CONTINUES – MEGA BARGAINS ABOUND! !